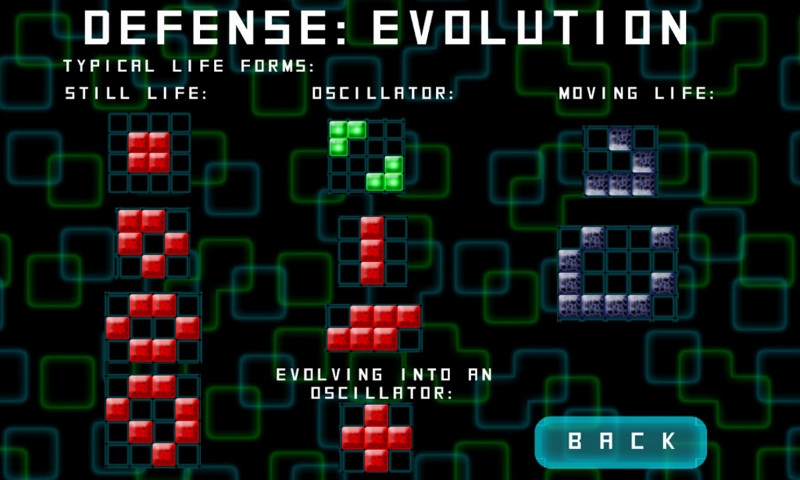 Part tower defense, part RTS and part mathematical puzzle, "Defense: Evolution" is a minimalist game of territorial expansion and control that will engage you thanks to its simple yet deep strategical gameplay and high replayability factor. 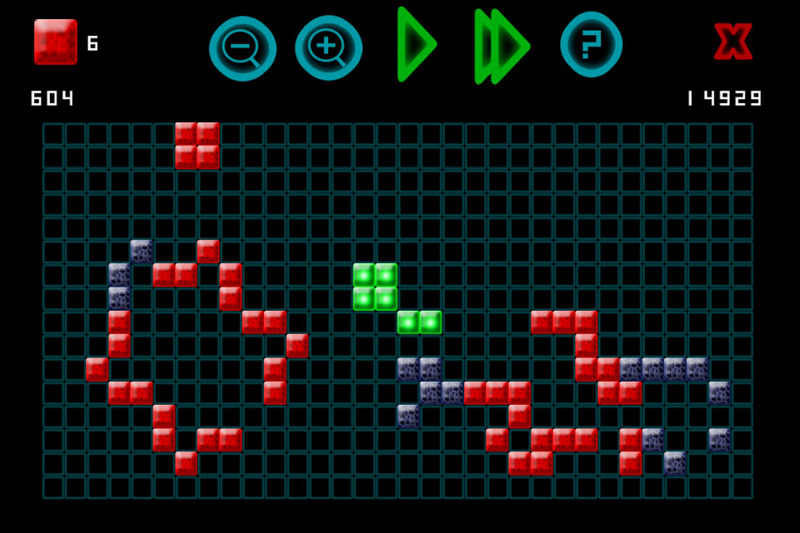 Your task is to wisely place a limited number of red cells anywhere in the play-field with the purpose of protecting the "beacon" (green cells) by an upcoming invasion (blue cells). Each cell population can evolve and interact with others according to Conway's "Game of Life" set of mathematical rules, originating an unexpected yet rigorous action every time you play. - High replayability: unpredictable outcomes, yet driven by a mathematically rigorous rule-set, make each new game different and unique. - Sharpen your pattern recognition and strategic skills. 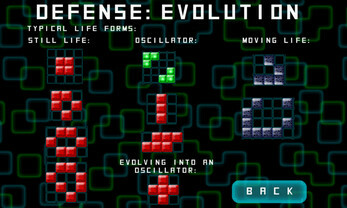 There are 3 types of cells: Red (you), Green (the "Beacon", those you have to protect. 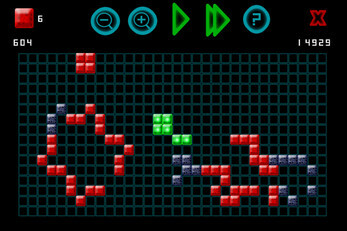 If they die, it's Game Over) and Blue (the Invaders). 1. Any cell with fewer than 2 neighbours dies. 2. Any cell with 2 or 3 live neighbors lives on to the next generation. 3. 3 cells of the same kind next to an empty square will give birth to a new cell. 4. Any cell with more than 3 neighbors of a specific kind dies. 5. Beacon cells are particularly vulnerable to Invaders: two of them are enough to kill a nearby beacon cell! 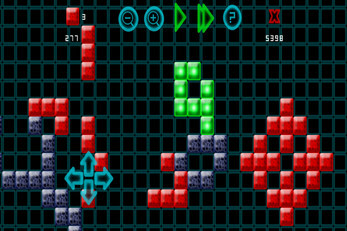 Every turn, score is computed by adding the number of Red cells alive. 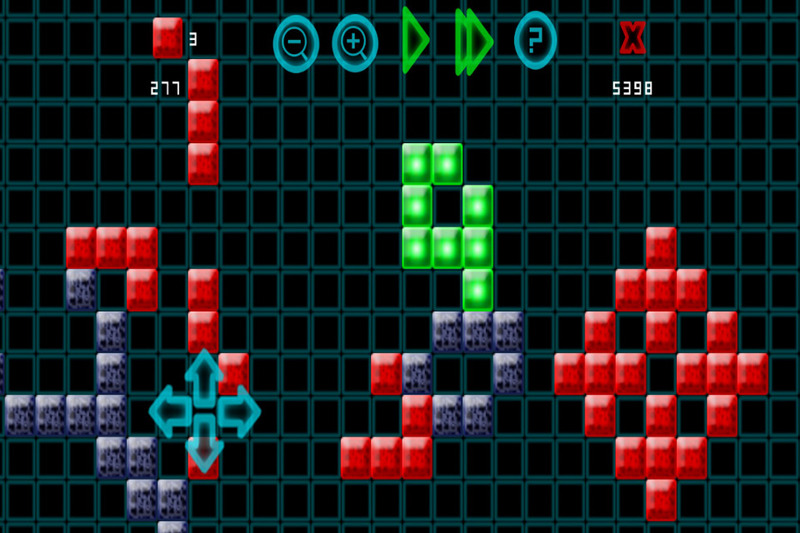 Every turn, 1 extra Red cell is awarded for every 8 Beacon cells present. You can place or take back Red cells by touching the grid. Let them evolve and protect the Beacon! But pay attention: they can also harm the beacon if their evolution gets out of control! Evolution can be halted and restarted at different speed (turn by turn or continuous) by touching "Play" and "Fast Forward" controls. Installing both libnss3 and libnss3-dev didn't help. Thanks for pointing this out. Which Linux distribution are you using and is your PC 32 or 64 bit? I am using an Ubuntu-like distribution called kxstudio (http://kxstudio.linuxaudio.org/) and my PC is 64 bit. Hi, just added a new build. Let me know if it fixes the problem... cheers! It works now! Thanks for your help!